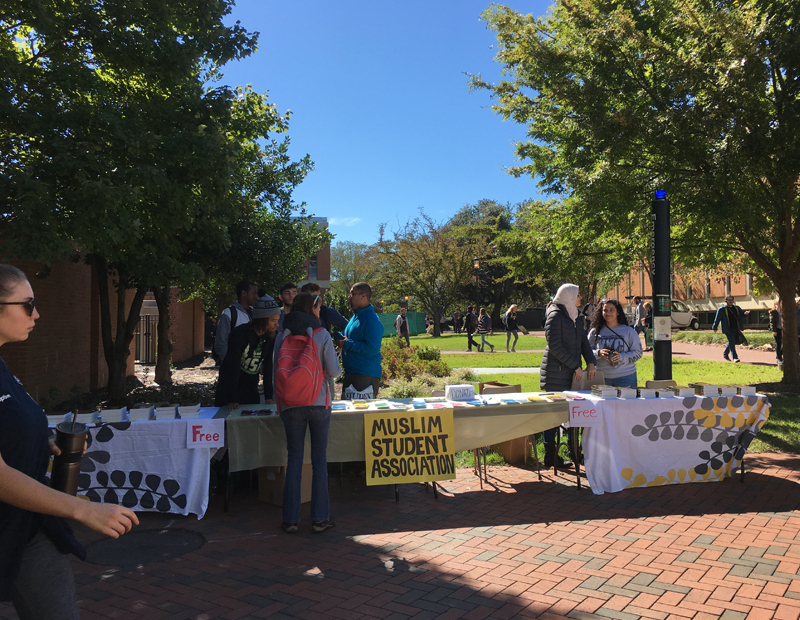 Allhamdolillah UNCC MSA was able to have another successful Information event “Ask a Muslim” on Wednesday 18th October 2017. 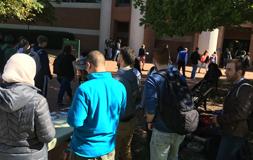 The event was held from 11am to 4pm. 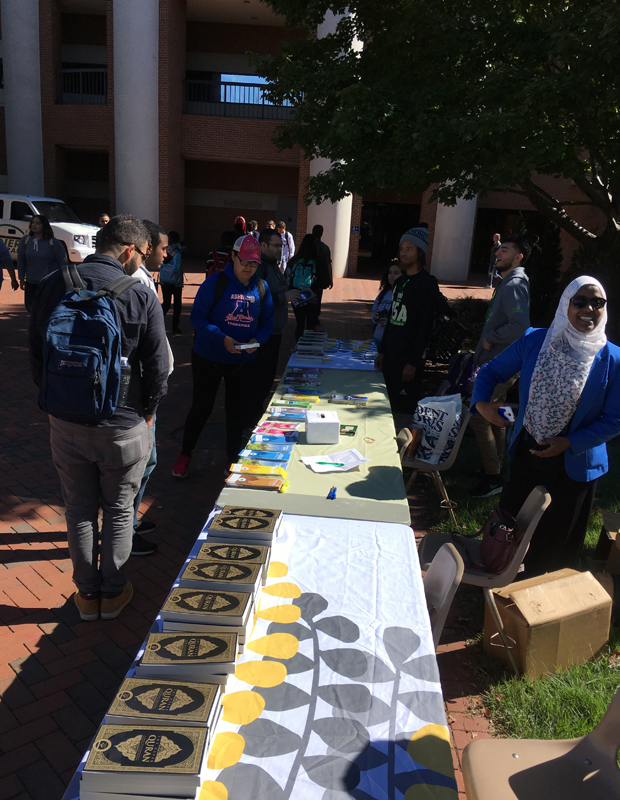 American Islamic Outreach Foundation was able to collaborate by contributing the Free Qurans and Brochures to the students of the MSA. 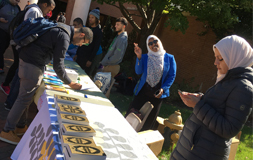 Over 150 Qurans were given away to the many interested folks who came by, including one that was prepared with an annotated Quran, highlighted and everything. 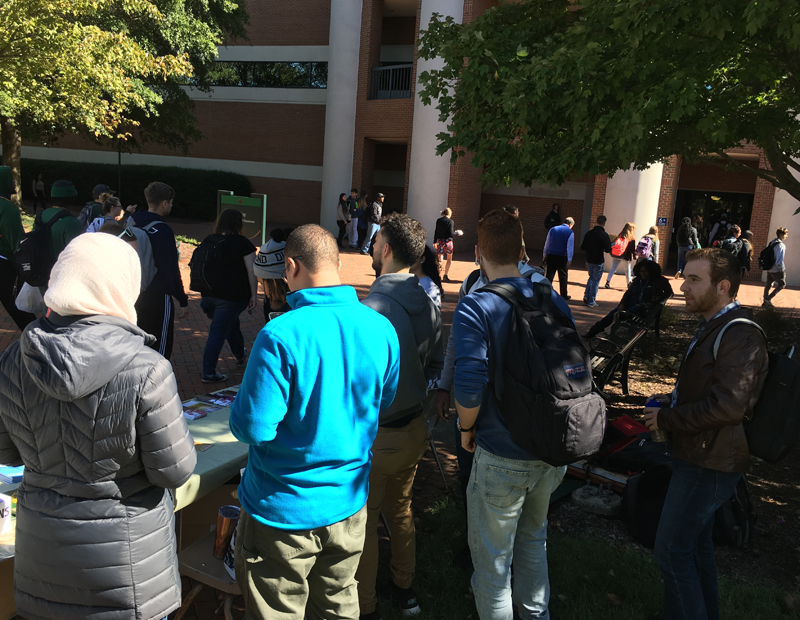 He stayed the full 6 hours, speaking to the students about specific verses in the Quran and its context. 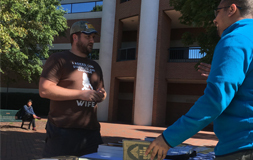 Overall, he left happy with answered questions, and so did many others. 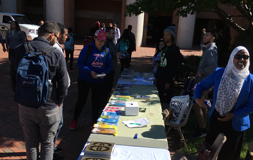 The purpose of this event is for UNCC students to have a chance to ask about Islam, receive free copies of the Quran, and socialize with Muslims. 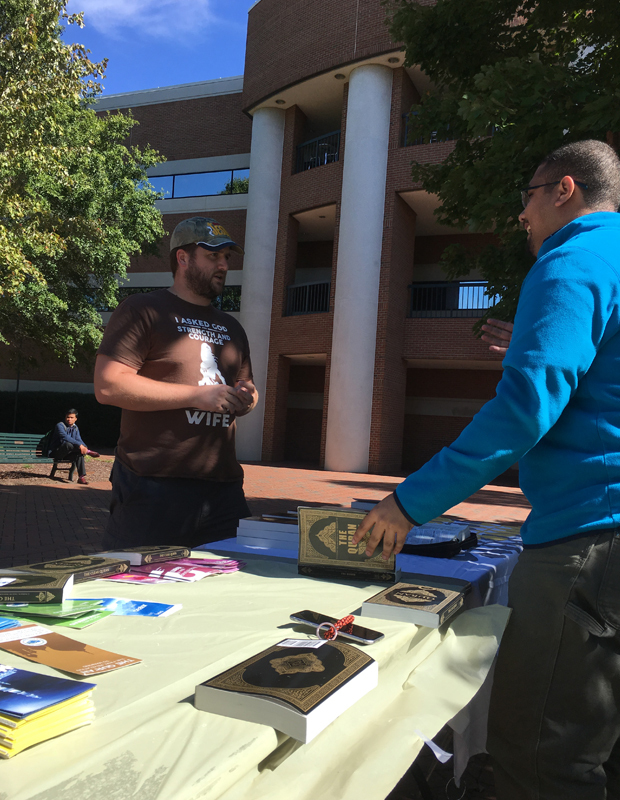 The information table events is for anyone who has a question or a misconception about Islam to come and ask real practicing Muslims. 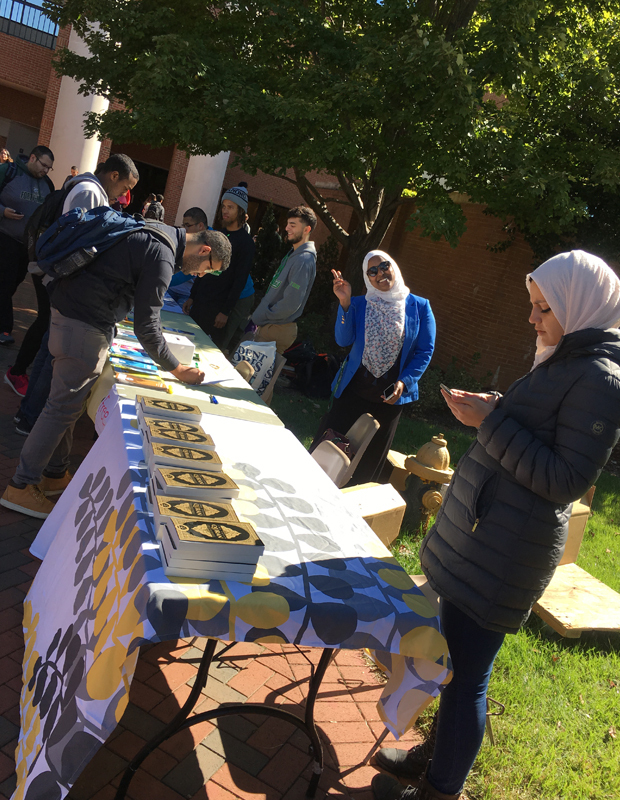 AIOF and UNCC MSA object is to deliver the true message of the Quran to allow non Muslim students to gain knowledge about Islam. 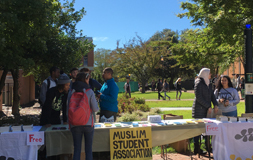 We are very thankful to UNCC MSA for letting us be a part of this, and look forward in many more events like this in the future.